Poster printed on white paper. 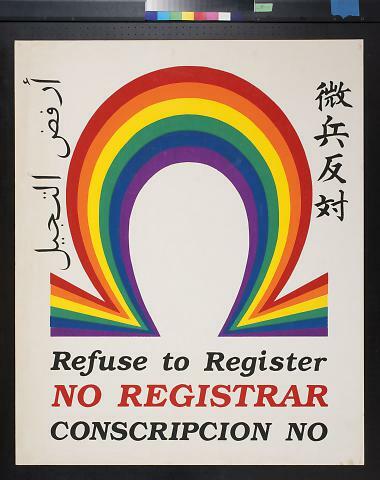 At the top is a rainbow colored omega, with Arabic text to the left and Asian text to the right. 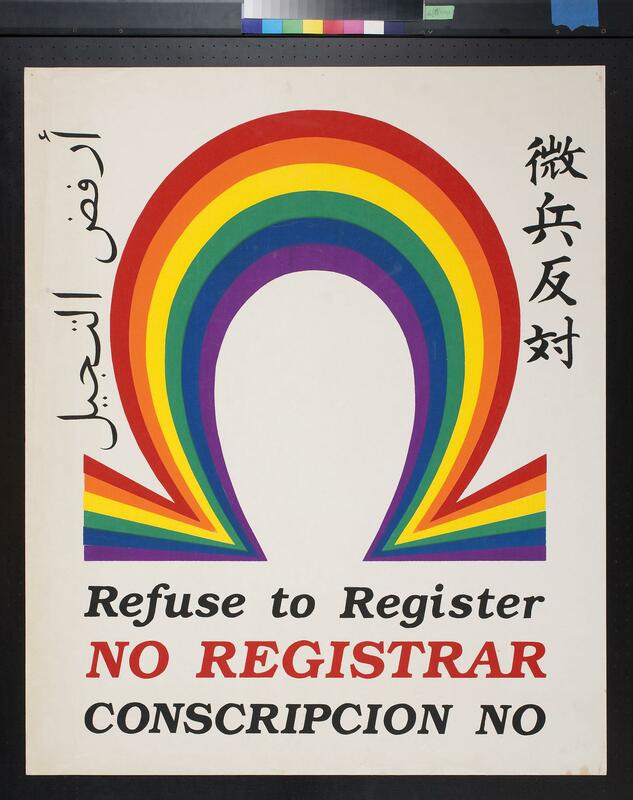 At the bottom of the poster is "refuse to register / No Registrar / Conscripcion No" in black and red.